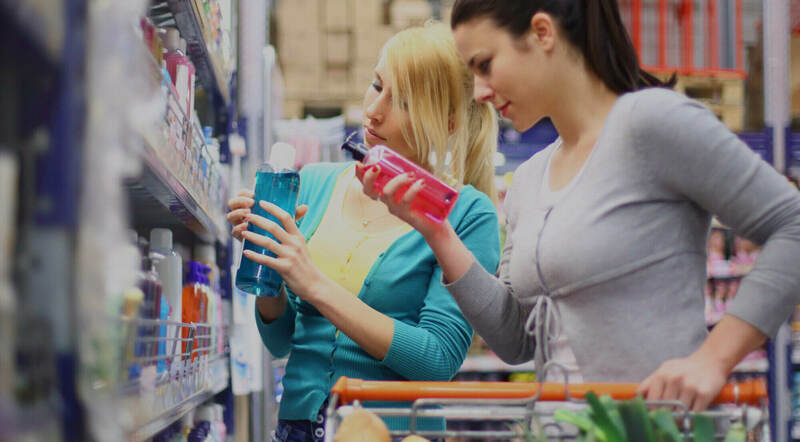 The FMCG sector has always been associated with a take no prisoners approach to winning and retaining customers. However, the usual discount and multiple purchase offers have proved counterproductive, eating into their bottom line and resulting in high customer churn. Here we look at the more innovative strategies of three of the industry’s biggest players, which are designed to provide very detailed and accurate profiles of their customers, and drive loyalty through precision targeting of their promotional activities. As the FMCG sector becomes ever more competitive and margins are squeezed, the battle of the brands is focusing on how to engage consumers in more creative and sophisticated ways. Brands are looking at the long game of accruing customer data as a vital component in developing detailed customer profiles that are critical for the brand lifespan from product development to customer retention. Brands are also using the personal, lifestyle feel of good custom magazine publishing to provide relevant content around the brand that will engage readers with their brands and strengthen the relationship between the consumer and their product ranges. L’Oréal, is the world’s largest skin care, cosmetics and hair care company with a distribution network across 130 countries. It’s the figurehead for a plethora of household beauty brands that span demographic spectrums of age and income including Ralph Lauren, Garnier and Lancôme. The company has continually innovated to retain its market share and constantly outperformed rivals. Its latest strategy is an ambitious company-wide, customer relationship management (CRM) system that focuses on building the spend of existing customers and provides the company with the potential to produce the most targeted marketing campaigns imaginable. Previously, L’Oréal has successfully led the pack in celebrity endorsement advertising so this customer centered approach represents a completely new proposition aimed squarely at profiling customers individually. The online subscription system allows the customer to create a personal profile based on their existing beauty regime, personal style, specific beauty concerns and products that they’d like to try. The more information they proffer the greater the rewards. Visitors are encouraged to register for an account to access the portal, which people can do with a Facebook log-in to enable content sharing via the social network. This fresh approach to reward and retain loyal customers takes the traditional loyalty card to a new level and benefits the company by allowing them to build highly personalised and targeted marketing in a very cost effective way. This form of data mining is highly effective in determining and executing cross-selling opportunities. By combining ‘member’ discounts, exclusive offers and the chance to sample new products based on the information they provide, L’Oréal keep existing customers focused on their brand portfolio, cross-sell, lock out competitors and substantially reduce customer churn. Getting your message heard in the white noise of marketing and promotional activity can be a real challenge. One drinks company took the bull by the horns and tackled the issue head on by creating a vibrant subculture magazine, off centre enough to be cool. Red Bull Energy Drink was launched in 1987, in Austria, and is the world’s best-selling energy drink in this rapidly growing sector. Red Bull is available in 167 countries and around 50 billion cans have been consumed. It has added Red Bull Cola and Red Bull Energy Shots to its main line. The company launched, ‘Red Bulletin’ a monthly magazine five years ago with a sharp, youth oriented, energetic format. Red Bulletin covers sport, art, people, events and culture in an intelligent, witty style that will retain and enhance the brand’s credibility with their core consumers who can identify as belonging to the Red Bull urban tribe. Initially it was published in eight countries and grew its circulation to over 3.4m. This is set to increase significantly since the magazine has recently launched in the US. It is sold on newsstands, is available by subscription and there is a free app version available for iPad or smartphone. In Ireland, the magazine is distributed in the Irish Times on the first Thursday of every month. The trend to create media as both an extension of the brand and a tool to drive customer loyalty is relatively new. However, the company has always had a unique style of marketing and is known for its off beat methods of engaging with consumers, pushing the boundaries of what is possible and leaving a lasting impression. Its fledgling Flugtag events in the 1990s are now annual events in countries around the world attracting considerable media coverage. Red Bull was one of the first brands to successfully harness the considerable power of social media networks and apps that form an important strand of its well-integrated digital marketing strategy which it leverages effectively to engage its youthful customer base. For this demographic, word of mouth or buzz marketing can be the greatest influencer of consumer choice. Understanding this and using it cleverly to create a dynamic frisson around the brand’s events, has propelled Red Bull to the front of the game. When two big brands came after their territory with their own energy drinks, colossal budgets and massive ad campaigns they still failed to take their ground. Red Bull with its distinctive below the line activities and low key above the line campaign create an element of ‘truth’ around the brand, a simple selling message, well delivered. Probably the best buzz your marketing can deliver. “This is our most important line extension so far. As a major content provider, it is our goal to communicate and distribute the ‘World of Red Bull’ in all major media segments, from TV to print to new media to our music record label.” Dietrich Mateschitz, Co-founder and CEO of Red Bull. Kraft, another powerhouse in the FMCG Sector, developed a custom magazine as the key CRM tool in building customer loyalty. The company is home to household brands in the biscuits, cheese, grocery, coffee, confectionery and snacks sectors including Cadbury, Nabisco, Kraft, Philadelphia, Jacobs and Maxwell House. Kraft Foods Group and H.J. Heinz Company have completed the merger, becoming the 3rd largest Food and Beverage Company in North America and the 5th largest in the world. Kraft has a global market cap of $52.2 billion, sales of $18.21 billion, and employs 24,000 people in Europe. Their magazine, ‘Bei Uns Zu Hause’ (At Our Home), currently created and distributed in Germany, is a high quality food magazine. Designed to appeal to young home-makers with a mix of beautifully styled and shot recipes, cooking, home and garden related features and creative household tips, its credibility stems from the way in which it captures the everyday in a stylish, heightened perfection way. The professional design, informal style and quality of content have been key to the success of the magazine. A number of product based supplemental brochures are also included in the magazine. A recent survey showed that willingness to purchase Kraft Brands was considerably higher among magazine subscribers of which there are 400,000 in Germany. The magazine’s theme is extended into their website which has an extensive recipe search for each of the brands, tips and tricks section and a facility to create your own cookbook of personal recipes. The registration process allows the company to gather data around your personal preferences and accurately target offers. “The magazine is the heart of our CRM programme”. Dorothee Senfleben, Kraft Foods, Germany. Very sophisticated ‘Insider’ website with great member privileges in exchange for providing a high level of personal details and product preference information. Excellent cross selling strategy. Red Bulletin website is pure adrenaline rush. Very male, urban and active. Excellent production values and content. Access to information on their events worldwide and to every edition of Red Bulletin. Cool video clips. Online shopping at the Red Bull sports merchandising shop. Well thought out website offering a fantastic range of recipes across their product range. The forum allows users to add their own recipes and gain points by recruiting their friends as members, signing up for the newsletter. Good profile building and cross-selling strategy. In December 2012, the company added a direct mail component, sending out more than 500,000 leaflets, designed specifically to drive traffic to Lorealinsider.co.uk. Red Bulletin, the jewel in the crown of their marketing. Fast paced, urban style designed to appeal to young male target market. The magazine is part of a drive towards content driven media across print, online, TV and music. Global circulation approx 4.5m. Great content driven magazine, ‘Bei zu uns Hause’ that’s loved by 400,000 subscribers in Germany. It’s stylish and creative and does not appear like a hard sell, but manages to integrate the use of the brands in a creative and attractive way. Members get three money off vouchers per month based on product preferences and can claim free samples. As a sponsor of major sports teams like F1, it uses its online store to sell sports merchandise. Members can enter online competitions to win an iPhone everyday or collect points to earn a coffee maker. Members can opt in to receive special offers and discounts by mail. Subscription newsletter with all the latest on Red Bull events and the chance to get tickets and passes to them. Collect points if members subscribe or get friends to sign up. Several apps, focused on product information like perfect match to help consumer choose the ideal foundation. Free app of Red Bulletin for iPad and smartphones. Kraft use apps for both corporate information and consumer targeted product promotion. L’Oréal use Facebook, twitter and YouTube in conjunction with its website. Actively drives social media to promote events. You must ‘like’ their Facebook page to access certain information, hence the impressive 42m likes! Use Facebook for competitions like Kraft Dinner Battles to engage consumers with the product range.